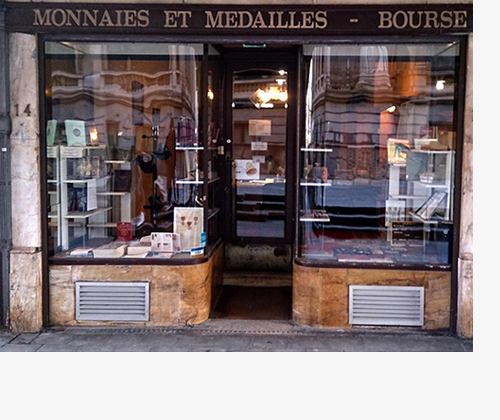 Our shop is located in the historical center of Brussels, a short walk from the world-famous Grand Place. Do not hesitate to contact us to buy, sell, obtain a free appraisal or an expert opinion on any coin, medal, token, order, decoration or banknote. We buy coins, medals, tokens, orders, decorations and banknotes from all over the world. Please feel free to contact us to make a comparison! You can buy these items from us in full confidence: as member of the International Association of Professional Numismatists (IAPN) since 1994 we offer you an unlimited guarantee (with no time limit) that everything we sell is genuine. 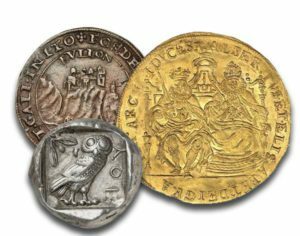 Moreover, thanks to a broad network with other professional numismatists all over the world we can find coins and medals from all origins and of all periods to complete your collection. 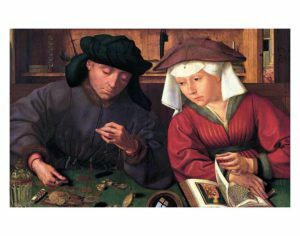 You can also buy numismatic books and accessories in our shop. We offer you other services as well: handling of want-lists, or representing collectors at international auctions at a very attractive rate. We are very keen to help you build your collection by providing you with useful advice! We buy and sell collectors’ coins and collections of coins at the best possible price. 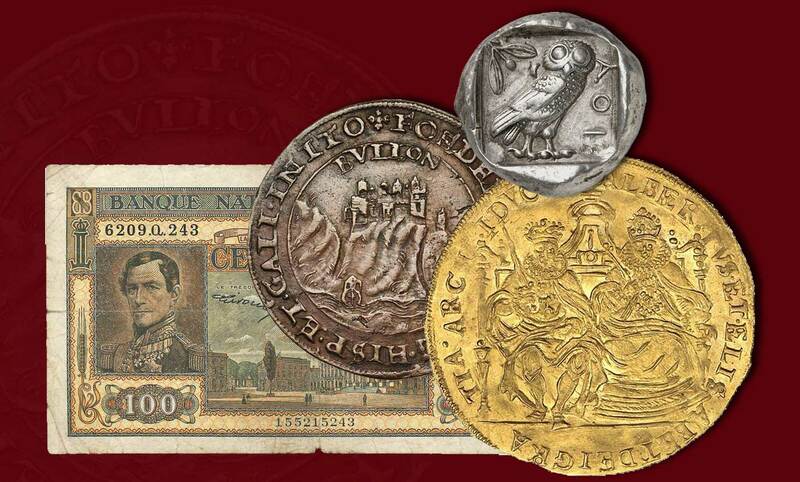 Our experts freely and confidentially appraise your coins, medals, decorations and banknotes. 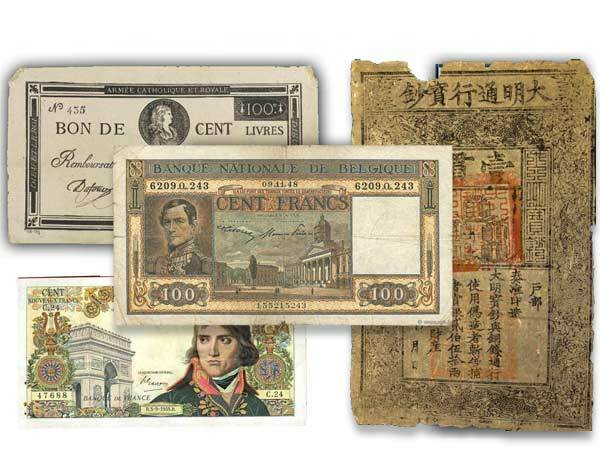 We are looking for and sell all types of obsolete banknotes, from Belgium or abroad at the best market price. 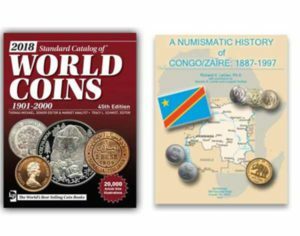 We offer you reference numismatic books for sale. • Coins or banknotes currently in use in other countries. Monday – Friday : 11 a.m. – 5 p.m.